The idea of this issue of the magazine arose from a conference on the future of counselling and psychotherapy, organised by the Alliance for Counselling and Psychotherapy, and held in London in December 2012. 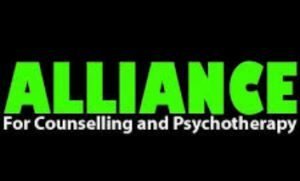 As members of the Alliance, we have been campaigning against the state’s co-option of the psychological therapies as a healthcare profession. In our work around psychological life and its difficulties, we also want to prioritise the ordinary resources and creativity that people bring to the task of making meaning of their experience. One speaker at the conference suggested seeing if we could produce a special issue for Asylum, so we contacted the collective and they accepted our offer to produce an edition around the broad idea of ‘creativity’. We then set about asking people – near and far, users and practitioners – if they would like to submit something that testified to their efforts at being-in-the-world. We invited them to use their particular talents to say something about their world-view. As a result individuals and groups have contributed. Offerings include direct works of artistic creation, including original paintings by John Joseph and members of the Sage Arts project; poetry from Rob Cunliffe, Ros Kane and Kaz Reeves; a short play by Simon McCormack (which we have produced as a live recording and posted on the web); an original work of art from Scott Farlow, who also writes about his relationship with Franz Xaver Messerschmidt, an artist from the past; and, included in a longer piece reflecting on the central importance of music in her life, song lyrics from Jennifer Maidman. Other contributors wrote about how they were using their own creativity to make spaces for others to use creatively – the Sage Arts project, the Bridge Collective and Start2. Stephen Gee writes about his experience of running a theatre project, Isobel Urquhart writes about art exhibitions in Sanatorium and Utopia; and Michel Syrett and Suzy Johnston write about the experience of writing itself. Denis Postle gives us an article on what he calls ‘the psyCommons’; this is part of a lifetime’s work in which he argues for a re-visioning of psychological life as something to be held in common. We are also very grateful to Alex Widdowson (of Sage Arts) who volunteered to design this issue as a creative act reflecting his own appreciation of the overall project; and of course thanks to the Asylum Collective for letting us make this issue. You will see that we wanted to extend the idea of creativity beyond the core notion of art and literature, so as to include the kinds of organisations that have been set up to support the creative endeavour. We have tried to reach a little beyond our own usual networks, and have made some new links with projects up and down the country. We don’t pretend to present an objective survey of what’s going on, and we’re sure there are many more amazing projects and people out there who could bear witnessing and celebration. We hope that this necessarily short selection of work will act as an inspiration and point of reference to sustain and inspire your own efforts, in spite of the difficult economic and ideological climate that currently prevails.